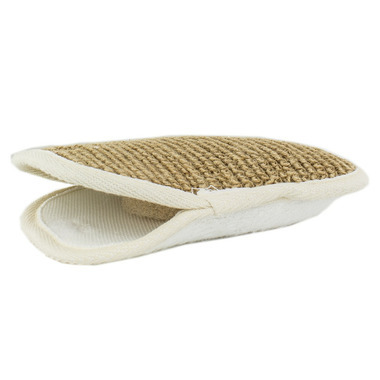 The jute mini mitt holds a bar of soap and sits perfectly in the palm of your hand. 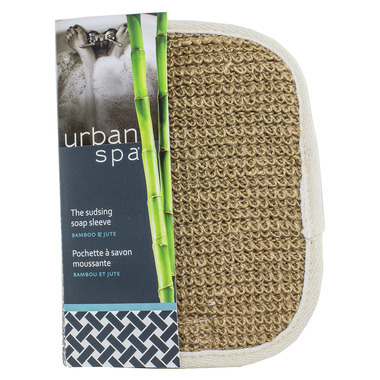 The gentle Bamboo cloth on one side for cleansing and Jute on the other side for exfoliating. My husband is always stealing my glove like this so I bought him his own as a stocking stuffer. Hope it works for him. Love this for exfoliating. Lathers well. Not very good. Lather stays inside the mitt. Threw it out after 1 week. This soap mitt was awful - it fell apart within two weeks. Also, the wet jute smelled absolutely horrible.